Invaluable British label Soundway established its identity early on by specializing in reissues of overlooked vintage music from West Africa and Colombia, but since then it's branched out into new music rooted in old forms. 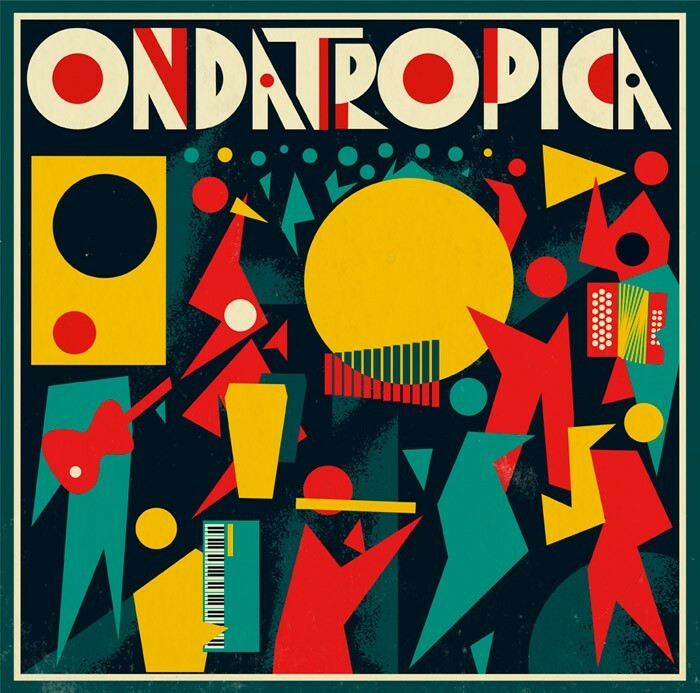 Earlier this year Soundway released Ondatropica, far and away its most ambitious effort. Spearheaded by producers Will Holland (aka Quantic) and Mario Galeano (Frente Cumbiero) and cut in Medillin studio Discos Fuentes—home to label of the same name, which produced much of the country's greatest music in the 60s and 70s—it features an era-spanning lineup that includes old-school legends like Fruko, Michi Sarmiento, Anibal Velásquez, and Alfredito Linares. The sessions mixed new songs with classic material, and while classic cumbia dominates, the collection makes room for loads of regional styles. The project is a little like a Colombian version of the Buena Vista Social Club, though that's a little glib and oversimplified—especially since Ondatropica includes plenty of new music with modern touches (whether it's Chile's Ana Tijoux dropping rhymes on "Suena" or an album-lowlight cover of Black Sabbath's "Iron Man"). After the jump you can listen to the jam that opens the record, "Tiene Sabor, Tiene Sazón," which is also today's 12 O'Clock Track. Ondatropica, "Tiene Sabor, Tiene Sazón"